EngineRoom provides you with automatic updates within the application, so the latest version is always available - and FREE. See below for an overview of recently released features and new functionality. 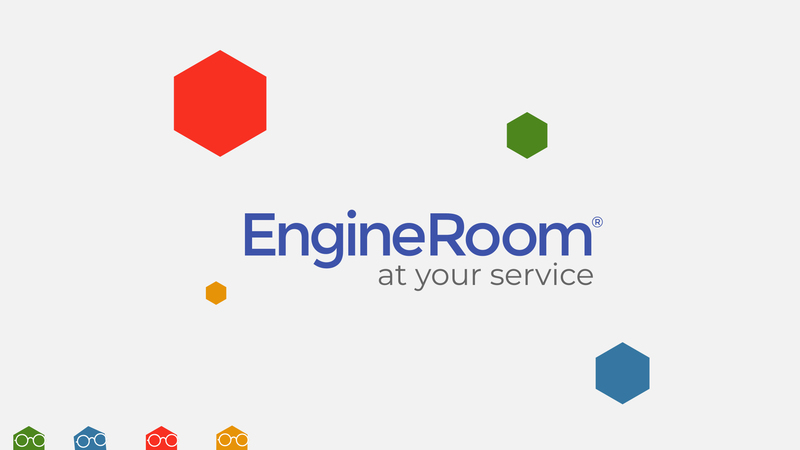 EngineRoom helps you get it right the first time. When you upload your data, empty data cells will be highlighted in red. You can also have EngineRoom check for numeric outlier values and inconsistencies in data type (numeric, text, or date). Identify potential issues early and proceed with confidence. EngineRoom just got smarter! Guided mode is now available for charts, graphs, and statistical tools. Now, even if you haven't used a particular tool for a long time, you can proceed efficiently and confidently. We'll lead you through step-by-step from entering the right data to making sure you've considered the available options. Develop a plan to keep stakeholders actively engaged to ensure projects are successful and the changes are sustained. 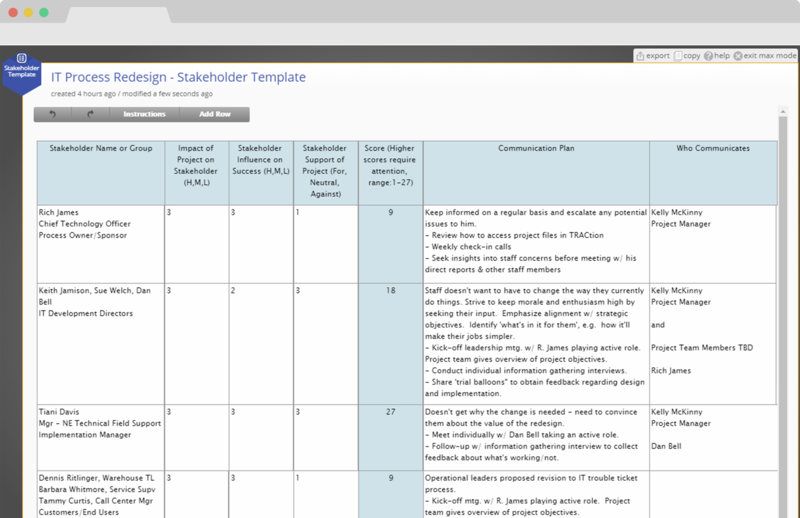 This template guides you to identify both internal and external stakeholders and then to create a communications plan for the project's duration. 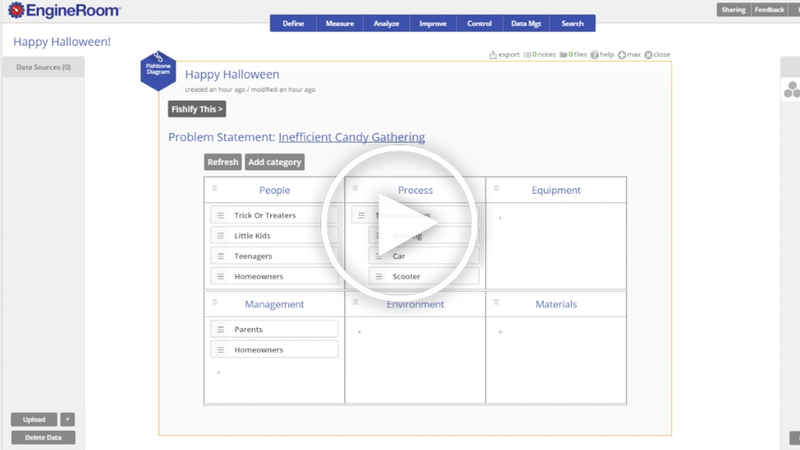 Take a look at the new landing page that provides a master view of your project work. It's a more visual way to display your project list and provides quicker, more visible access to your studies. There is also a new section for announcements, reminders, and helpful information. 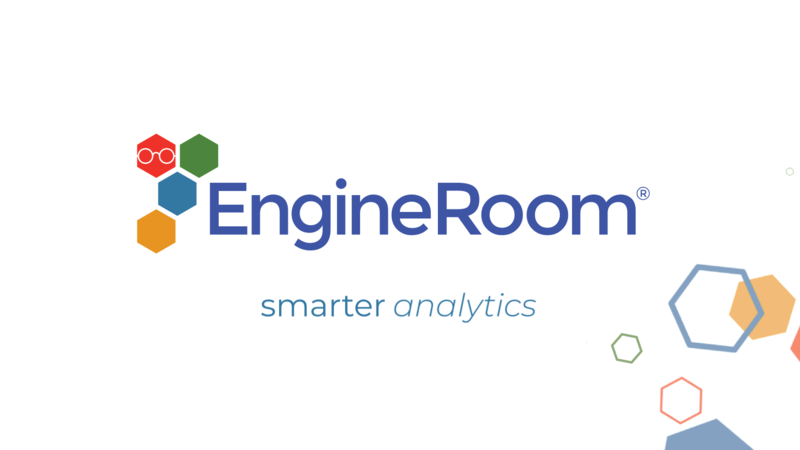 Take a look at the updates to EngineRoom's Hypothesis Testing Wizard. 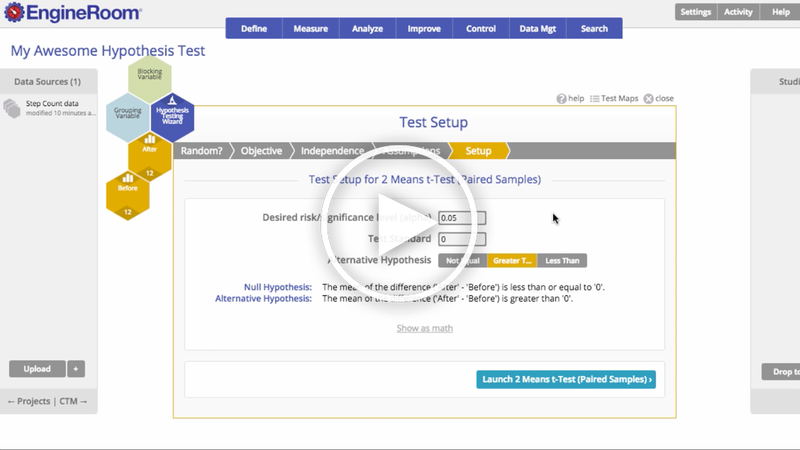 It streamlines the basic steps to help you setup and run tests with confidence, whether it's your first hypothesis test or you're a frequent user. Your most important information is now available at a glance! 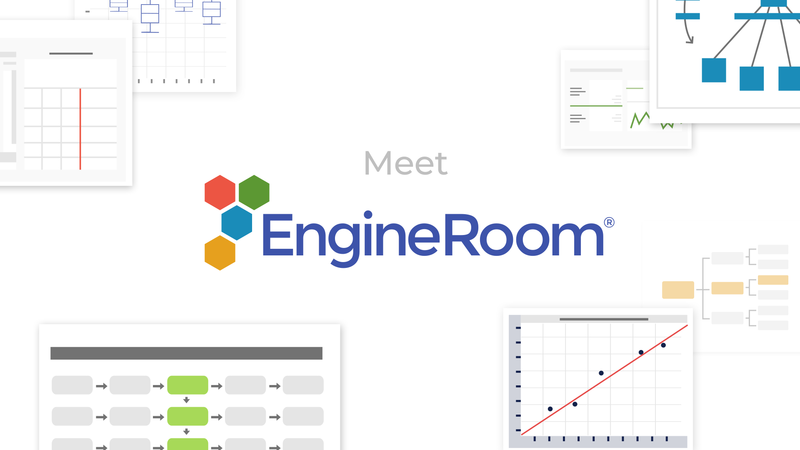 The updated EngineRoom landing page provides a master view of your projects along with a new section for announcements and helpful information. The form provides space to assess the project's impact on each stakeholder and then to consider their influence on the success of their project as well as their perceived support of the change. These factors are assigned numerical ratings that are multiplied for a total score. 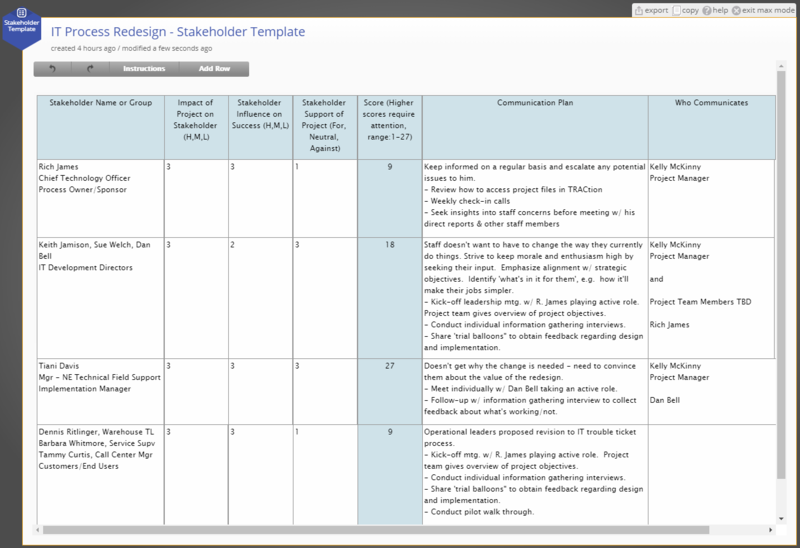 The stakeholder scores help the project team develop concrete action plans and to prioritize contacts. The Fishbone Diagram is also known as the Ishikawa Diagram or Cause and Effect Diagram. It is a tool used for structured brainstorming for potential causes of a problem. The effect (or problem) is placed at the "head" of the fish and the bones are labeled with categories of possible causes. It's like having a service-bot within your data analysis software who is flagging potential issues along the way! See how it works.